When we’re dealing with congestion here at home, I have two goals in mind. One is to make it easier to breathe through the congestion (if it’s nasal/sinus) and the other is to relieve the congestion by making coughs more productive. Here are the ways that we treat congestion at home for myself and my family. I carefully dilute (essential oils should be properly diluted) eucalyptus, niaouli and lavender essential oils in a carrier oil like grapeseed or sweet almond oil. For children over 1 years old, the dilution should be 1% (learn more about diluting essential oils). For children under 1 yrs old you’d dilute even more than the 1%. However, be very careful about using essential oils on babies under 6 mos (will do a future blog soon on babies and essential oils). This blend is already diluted for a child, but for an adult you’d double the amount of essential oil drops. Mix well and rub a few drops on the chest and back for congestion as well as the bottom of feet. Eucalyptus and Niaouli essential oils are both decongestant and an expectorant so will aid in clearing the congestion while also in making coughs (from chest congestion) more productive. Lavender essential oil is sedative and also works as a decongestant and I add it as a balance to the Eucalyptus and Niaouli. 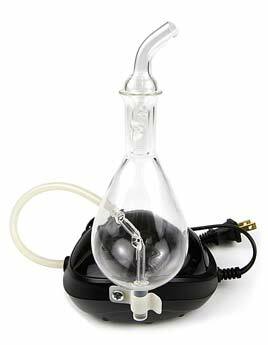 A essential oil nebulizer releases atomized microscopic oil particles into the air making easier for your body to absorb the medicinal benefits of the essential oil. It is a more clinical use and so should be used with care. If one of my children (or myself) has congestion I keep one running in the room for a couple of hours they are sleeping (usually mine since I keep them close with me while they are sick) with just a few drops in the nebulizer and have noticed a huge difference in how they are able to sleep that night. I like to use eucalyptus essential oil and peppermint in my nebulizer for congestion. For a young child you can use instead a diffuser with the essential oils as well as a warm or cold mist humidifier. I use herbal syrups to increase my children’s (and my own) immune system. I make a herbal syrup for congestion that has nettle, elder flowers, echinacea, slippery elm and yarrow. Nettle adds a source of nutrition with lots of minerals much needed when my little ones are sick. Slippery elm is an expectorant and helps loosen the congestion mucus to make coughs more productive while coating the membranes to protect them from irritations. Yarrow is anti-inflammatory and helps fight off infections. Make a decoction by simmering 2 oz of herbs in 1 quart of water until it’s reduced by half. Once it’s made and well strained, add to a clean pan and pour honey (1 cup of honey to every 1 pint of decoction). For children under 1 yrs old you can use maple syrup instead. Mix and heat until it’s well blended. Store in refrigerator in glass jars/bottles. While this does not work well for children since it’s hard for them to keep their eyes closed in tented steam, it does work well for adults. In a large bowl of boiled water, add eucalyptus and peppermint herbs (or use a few drops of essential oils). Lean your face over the bowl and cover your head and bowl with a towel so that you are tented with the steam of the herbs (or essential oils). Breathe deeply and keep your eyes closed as the steam can irritate your eyes, specially when using essential oils. In addition to the above I also make sure to avoid dairy and red meat while sick as it can make inflammations worse and create extra mucus to our already congested respiratory system. And I increase the amount of liquids we drink during the day and night as well as eat foods rich in nutrients but also foods that are anti-bacterial like garlic and onion (especially comforting in broths when we’re congested).